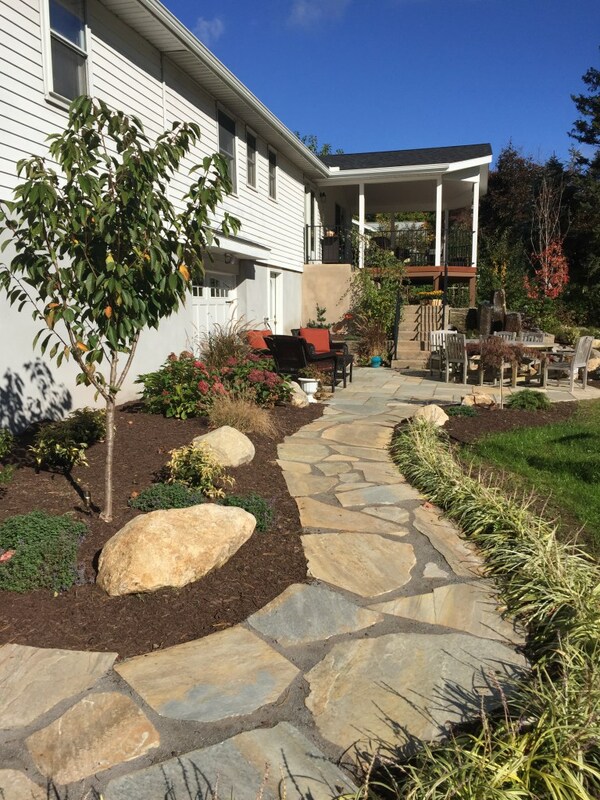 We are your Woodbridge CT outdoor living space experts! Add Your Favorite Outdoor Living Structures to Your Woodbridge CT Home, Historic or Modern! Stately homes, tree-lined streets and lush landscaping … Woodbridge, CT, homeowners are proud of their town’s historic roots dating back to 1784 when Amity Parish was drawn from parts of New Haven and Milford. Renamed Woodbridge after the Reverend Benjamin Woodbridge, the prestigious town thrives today with a mixture of historic homes and those more modern but no less elegant. While winter weather may keep families indoors sometimes—or on the slopes, Woodbridge residents find ways all year to enjoy the outdoors at home, too. Archadeck of Central CT can assist you with that! 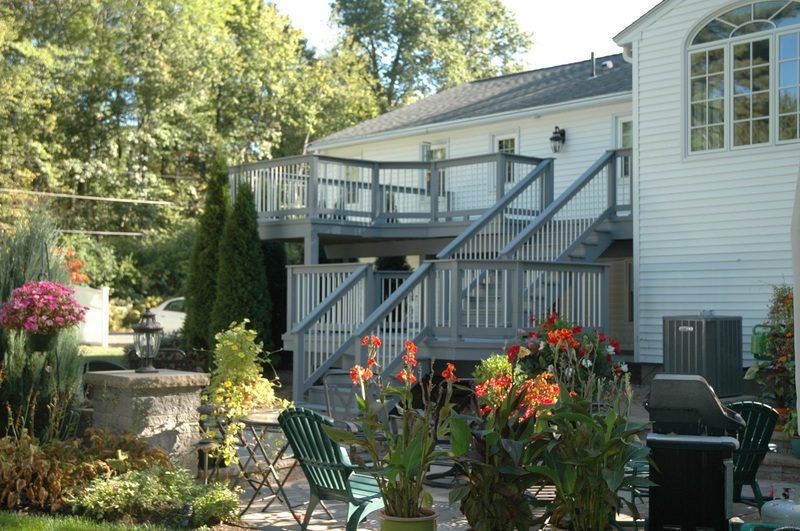 We have been designing and building outdoor living spaces in central Connecticut, including decks, porches and 3-season porches, for more almost 20 years. Your Woodbridge CT home is unique regardless of when it was built. Many of the town’s historic homes have been modernized so homeowners can enjoy 21st-century luxuries and conveniences while preserving the architecture of days gone by. Experience the Outdoors While Staying Warm and Toasty! If you find serenity in gazing out across your fall and winter landscape but don’t enjoy the cold, look to us as your Woodbridge CT 3-season porch builder We specialize in these structures that allow unobstructed views of your gardens and lawn while keeping you warm. As your Woodbridge 3-season room builder, we know you love a New England breeze. As long as the temperatures allow, you can open the sliding window panels of your three-season room and beckon the breezes in. Throughout warmer months, you can even remove the sliding window panels altogether to reveal only screens. In colder months, close the clear, vinyl windows up tight to keep out the whistling wind. The 3-season room will not be tied into your HVAC systems, but a space heater or infrared heater will keep the room comfortable for much of the year. Archadeck of Central CT is also your Woodbridge CT deck builder with a 19-year track record of designing and building decks to complement Woodbridge homes. We have the design expertise and experience to create the perfect deck for homes of any architectural style. If you love to entertain outdoors, we can custom design your deck with entertaining in mind. Whether you are committed to the look and feel of natural wood or prefer our Woodbridge CT low-maintenance decks, or Green decking options, we will work with you to design the ideal deck for your family. Calling a Woodbridge CT Porch Builder, Please! In central Connecticut, we do love our porches! Screened porches and open porches are favorites around here. We are your trusted porch builder. We are equally adept at designing and building a formal, open front porch or a spacious, casual screened-in back porch. No matter how elegant your home, historic or modern, there is always a time for relaxing on a great big back porch with your stylish, comfy porch furniture. Woodbridge CT screened porches invite friends and family to gather around your big TV for everyone’s favorite televised sporting events. All you need to add are the snacks! 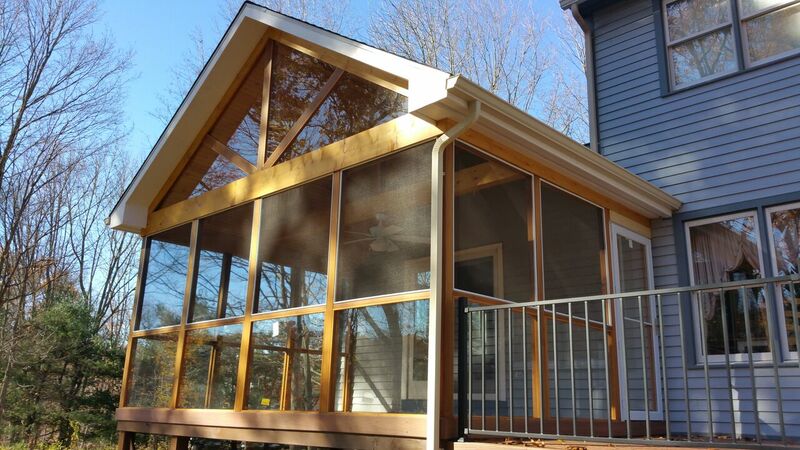 Who’s to say you have to choose between a sunroom, 3-season porch, deck, patio, screened porch or open porch? 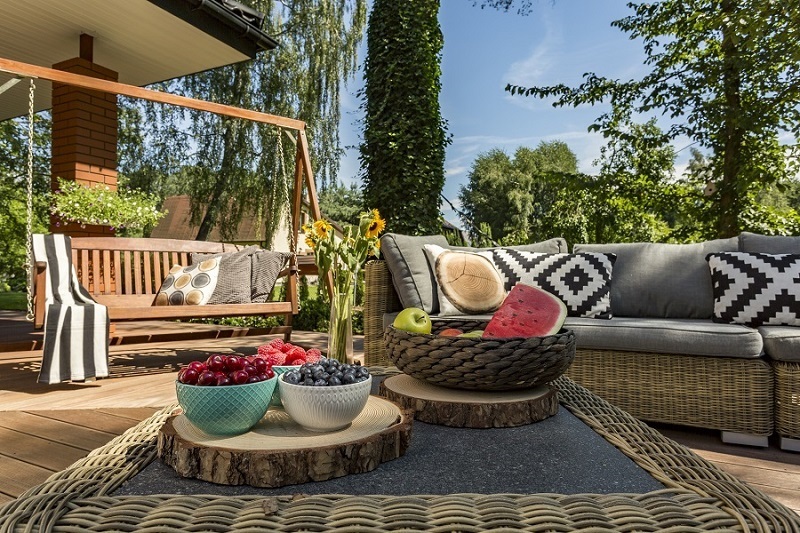 Take two or three of these outdoor spaces, then mix and match to your heart’s content. 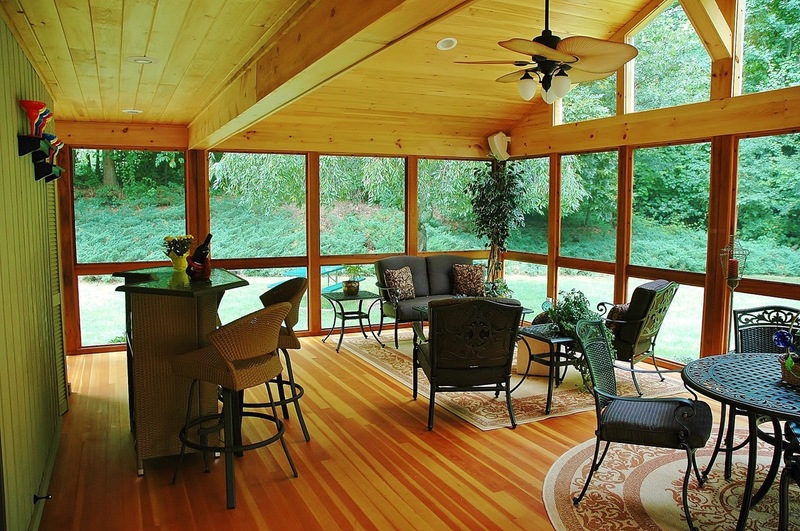 A screened porch can lead to a deck. A deck can lead to a screened porch or open porch. There’s no limit on Woodbridge CT outdoor living space combinations! Add a pergola or an outdoor kitchen to your deck because you enjoy life outdoors. Does your Woodbridge CT home need refreshing or expanding with a new deck, porch or other outdoor living structure or combination of structures? Call us to talk about your needs and see how we can serve you. Call Archadeck of Central Connecticut at 203-793-7142 or email us at [email protected].